Reading the recently released horizon report from @aitsl revealed some really interesting examples of how countries and schools are dealing with professional learning within schools. One of the models that many would be familiar with is the PBL framework in the High Tech High School system within the USA. It is interesting to read the huge and intense professional learning model for teachers built into this very successful high school learning framework described in the AITSL report. • the annual summer school – called the Odyssey – that inducts new teachers and refreshes existing ones. There is also a state accredited teacher education and leadership academy attached to the school. Performance and development are characterised in High Tech High by close analysis and critique of student work and outcomes data, both in peer groups and one to one with a mentor. Similarly plans for new projects are scrutinised and critiqued, a quality assurance process incentivised and moderated by the simple fact of all teacher developed resources being made available online, on an open source basis. Raising the performance stakes considerably is the one year contract on which High Tech High engages teachers. Each May, based on progress made by their students and feedback from their peers and mentor, teachers learn whether or not they will be employed for another year at the school. There appears to be a very strong and disciplined pedagogical approach that is consistently applied across the whole school by all teachers working within this model. The PD framework certainly adds plenty of meat on the bones to support teachers in the implementation of this model to students. And arguably one of the most important ingredients is the amount professional learning time that is allocated, but also built in to teachers daily work to prepare and plan for the PBL model to be successfully implemented in the school. The message is change takes time to implement in any school but within the High Tech High PBL model there is great expectation but also great investment in the teacher. School leaders at Parramatta Marist have obviously absorbed learnt this from many visits to San Diego as well as the Hattie visible learning research about the effect size of the role the teacher makes and their successful model reveals to the education community that proper investment in teachers will bring a huge return for students. There is also very strongly held accountabilities of the teacher performance in these schools. The American model is an interesting one with annual contracts in the High Tech High system. I think this would be similar to many top tier private schools in Australia that have teachers on 2-3 year contract and renewal process. We are wrestling with some of these issues in my school as we debate the many competing interests for time in the school day and how we allocate appropriate time to enable teachers to grow in their jobs and become the excellent, continuously improving leaders of learning that our students today demand. What is certainly clear is that AITSL is doing a great job of providing worlds best practice to Australian school leaders evidence like the horizon report that show many schools are pushing beyond the boundaries of what we have defined as “typical” in schools for too long. I will be taking my learning gained here from reading this report across a holiday weekend and share it with my colleagues about the imperative for continuous “relearning”. 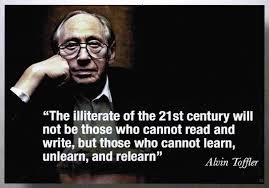 Those famous words of futurist Alvin Toffler spring to my mind. DEDICATED TO MY PARENTS, MARGARET AND JAMES O’FARRELL, AND TO ALL THE MARIST BROTHERS WHO HAVE EDUCATED ME OVER MY LIFE. THEY INSTILLED IN ME FROM MY EARLIEST DAYS A LOVE OF MY FAITH AND HELPED DEVELOP IN ME AN INQUIRING MIND AND PASSION FOR HISTORY AND RELIGION. *Research essay completed for final Master of Theology unit at University of Newcastle. Graduated in 2015. This paper will detail the development and spread of the Marist Brothers’ schools in the Sydney Archdiocese in the period 1880-1950. This was an interesting and unique period in NSW that began with the abolition of state aid to religious schools and the call by the Bishops to import a willing labour force from Europe, in the form of religious nuns and brothers, who would have the dual effect of keeping school fees low for poor, working class Catholic parents, whilst at the same time imparting a Christian education for the young that met the needs of an increasingly secular and even, an immoral society that was seen by some to be developing in the colony. The Marist story is common, characteristic of many of the religious orders that originated and progressed Catholic education in Sydney until state aid returned in the 1960s, whilst also being a distinctively French-Australian story told through the unique lens and charism of their founder, Marcellin Champagnat and his Petits Frères de Marie (Little Brothers of Mary). Time will not permit a detailed analysis of all of these schools but some attention needs to be given to the complete picture of the total number of schools that the Marist Brothers’ opened (and closed) in Sydney Archdiocese in this period 1880-1950. The aim is to understand the reasons for this growth and that will require some analysis of the religious, social and political situation within the Catholic Church in the Polding period (1842-1877) that impacts on the education debate, and more specifically the Marists. So to set the scene we need to begin the story before 1880 because much of what transpires with Catholic and Marist education after this may, arguably, not have transpired had it not been for the social and religious issues and the political decisions made that resulted in the Public Instruction Act of 1880. The main educational issue in question in Sydney from 1848, when the NSW government split state funding for public and religious denominational schools was who was going to pay for religious schools in NSW into the future? The key issues of funding for the Government and leadership from the Catholic bishops was central to understanding the drive and rapid development of Marist schools in this period. The Public Schools’ Act of 1866 “was a genuine effort to overcome past defects of the education system”, but it was also a forerunner to the eventual abolition of state aid to religious denominational schools. Catholic education was under threat and “leading politicians such as Henry Parkes and John Robertson after 1877 favoured a single non-denominational system of schools”. The reality came with the introduction in parliament of the 1880 Act. Br Ludovic, the Director of the Marist mission to Australia, and the first Marist Brothers who came with him to Sydney in 1872 arrived into this environment. Much of the impetus for growth and development came from the Sydney church leadership on behalf of Archbishop Polding in the late 1850-1860s. The role of Archdeacon John McEncroe cannot be underestimated. Both Polding and McEncroe recognised early the need for Catholic teacher training facilities and this was the reason why McEncroe had “tried to obtain the services of the Christian Brothers” as early as the 1830s. With the loss of the Christian Brothers in 1846 McEncroe turned his attention to the Marists. Polding had warmly received the Marist Fathers in Sydney in 1843 and this, combined with the sincere relationship and favour the Marists held for McEncroe greatly assisted the decision to send the Marist Brothers to Sydney. What was to become the site of the first Marist school at St. Patrick’s, Church Hill, was to a degree due to the close working relationship McEncroe had built with the Marist Fathers there prior to his death. On McEncroe’s death in 1868 there is a strong oral tradition among Marists that before he died, McEncroe asked Polding if the Marist Fathers could succeed him at St. Patricks. The bequest McEncroe left in his Will to support the work of the Marist Brothers was a good example of this solid relationship and trust McEncroe had with the French fathers. The significance of the Marist Fathers story is important for the Brothers as we trace the beginnings of the first Marist Brothers school, and Marist novitiate  in this period, St. Joseph’s College in 1881. Archbishop Vaughan was comfortable with this arrangement due to the close location of the school to the Marist Fathers monastery, Villa Maria, at Hunters Hill. St Joseph’s College, as a boarding school, began on 18 July 1881 with the arrival of 55 boarders from St Patrick’s Church Hill. Under the visionary leadership of Br Ludovic, a novitiate had begun for the training of young brothers at Church Hill. Due to increasing size and enrolments of the first school, space quickly became an issue and the Marist Brothers, under the leadership of Br John Dullea, moved their novitiate to the site of the present College at Hunters Hill in 1878. Br Michael Naughtin acknowledges the significance and connection St Joseph’s College had, as early as 1869, to the first Marist school established at Harrington Street, Church Hill in 1872; “It will be even easy to establish here, or in our neighbourhood, a boarding school which would have every chance of success”. It is important to understand the need for boarding schools in this period. This was closely aligned with the increasing need for secondary schooling in the colony at this time as families, particularly those in country and isolated areas, were unable to obtain access to secondary schooling unless their child boarded away from home. There was limited access in the city to a Catholic boarding college at this time, even though the Jesuit Fathers had started St. Aloysius’ College in 1879, originally in Woolloomooloo, and then St Ignatius College at Riverview in 1880. We will see shortly with the next Marist school in 1888 in North Sydney, the nature and quality of education being offered to the growing population of Sydney was different and met different needs in the colony. This was in part the social story of the Sydney Catholic population but was also one that had been transported from Europe. The story of the provision of an intellectual classics education offered to the elite upper middle classes by the Jesuit model, contrasted with the French Marist pedagogical model, aimed more deliberately at the poorer, working class Catholic, aimed at getting most Catholics an education to primary school level at least. This was Champagnat’s original vision based on his own childhood in Marlhes, France. The other significant factor that naturally led to the development and rapid expansion of St Joseph’s College as a boarding high school was a flourishing economy in the 1870s and 1880s in NSW and the demand for secondary education from an “an influential commercial class that was arising”. St Joseph’s College filled this vacuum in this period and prospered and grew quickly. “I have just received the letter enclosed from Rev. Fr Kelly, Superior of the Jesuits of North Shore. He has often asked me for Brothers for his parish. He would build a residence later. It is one of the suburbs developing most rapidly. He has already sent us several postulants and the Brothers are very fond of him. I believe it will be good to ask him for a residence and school near the present presbytery, that the distance is too far from St. Patrick’s. He would assure us of $120 per Brother per year”. 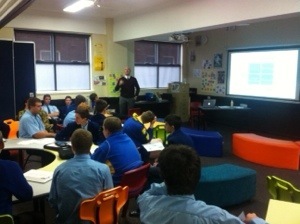 A hallmark of the strong Marist style of leadership in this period was evident in the North Sydney story. The idea of a guaranteed salary for the Brothers teaching in a parish school dated from the rule and practice of their founder. The Jesuits later tried to renege on this agreement that Kelly had signed with the Brothers but the Provincial stood firm on this. Regardless of this issue “the teamwork between the Jesuit Fathers and the Marist Brothers resulted in a mutual appreciation and a firm religious environment for the boys”. This relationship combined with strong leadership from the first Director of North Sydney, Br Walter Moore ensured the school would grow and flourish as it did in the years and decades ahead. 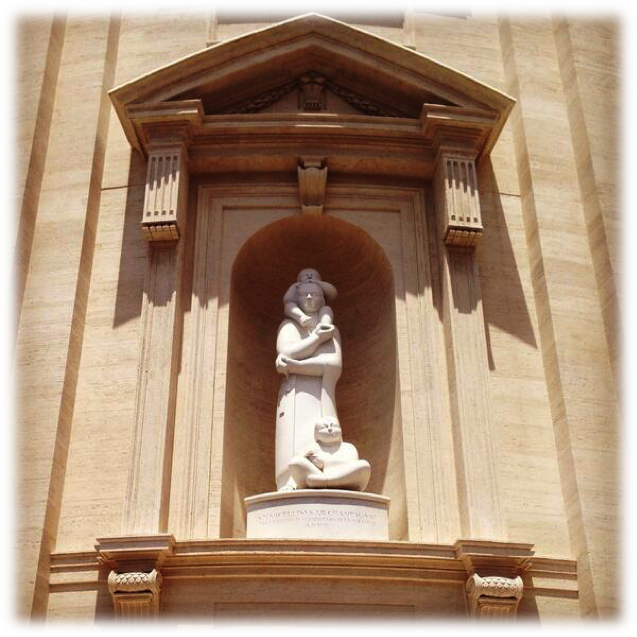 The account of the strength and ability of the Brothers to stand up to church hierarchy when challenged is a significant factor in the continuation of the Marist story in this period. Several obstacles were placed in their way even when clear invitations had been given from Archbishops or parish priests. The North Sydney episode of the late 1880’s was repeated in the Cathedral school in 1910. In 1887 the Brothers acceded to the wish of Cardinal Moran and transferred their high school from Church Hill to St Mary’s Cathedral. However, “disputes developed with the Cardinal who in 1910 requested the Marists to move the high school to a property in Darlinghurst”, at the corner of Darley and Liverpool Streets. Again the Marist Brothers held their ground and did not give in to church hierarchy. The Darlinghurst story is hugely significant in this period because this school traces it origins to the original high school established at St Patrick’s Church Hill in 1875, transferred to St Mary’s in 1887 and then to the Darlinghurst site in 1910. In 1968 the Darlinghurst story continued when the school moved to the newly established suburb of Pearce in Canberra, where a new primary school adopted the colours, motto and crest and more importantly the continuation of the Marist story, it’s history and traditions dating back to 1872. Indeed Frank O’Shea in his very comprehensive history of Marist College Canberra, gives a picture of the significance of MBHS Darlinghurst. To give an indication of the importance and prestige of MBHS, for many years it shared with St Joseph’s College the distinction of being the only full secondary school run by the Marist Brothers in Australia. It was, in the words of Br Alban Doyle, “cherished as one of the foundation schools of their beginnings in Australia”. Whilst the Darlinghurst situation had been going on, the Brothers had finally decided to found their first southern Sydney school in Kogarah, established conveniently on the train line as the population continued to increase and fan out from the city to the suburbs. As there were no other Catholic schools south of Kogarah yet, the proximity to transport made the school accessible to those families living further south. Cardinal Moran arrived in Sydney in 1884 to much fanfare and quickly set about putting “his impress on things”. His first major decision was to call a plenary council for the Australian Bishops in 1885. Moran’s presence and authority as an apostolic delegate would have major consequences for the development of Catholic education during his reign as Archbishop of Sydney. One of the decrees from the Diocesan Synod of 1883 in Bathurst that was made more explicit under Moran and the 1885 Plenary Council was, “a primary or elementary school was to be established in every mission where there was a priest”. This had helped drive and shape Catholic education and counter the secular push for funded public schools only in NSW. Indeed this would have been the foundation for the first parish, St Patrick’s Kogarah in 1887 and another driver for a school under the leadership of Father Peter Byrne as parish priest, though there is evidence the first school building actually built in the St Patrick’s parish was in 1865. The continuation and development of the Brothers’ move to Kogarah owes its existence to the persistence of the then parish priest Father J.J. O’Driscoll. He had been pressing the brothers since he began in the parish in 1904 and was not put off by the Marist Brothers initial refusals to begin a school. The opening of the railway line to Kogarah in 1884 and the “combined effect of railway and trams on Kogarah was dramatic and rapid” and really changed access to the Kogarah area. This would have had the effect of bringing increasing commercial and residential development that would have caused the Brothers to eventually look more favourably on the requests by Fr O’Driscoll for a school. There was another development in the City in 1908 that helped this decision. Tony Butler recounts this development in his excellent history of Marist College Kogarah for it’s centenary year in 2009. “The Brothers’ provincial superiors have always been under pressure to open new schools and the early years of the Twentieth Century were no different. Not put off by refusals, Father O’Driscoll pressed his application. His persistence was rewarded when the Sydney City Council in 1908 decided to resume the site of the St Francis church and school in the midst of the markets area of Sydney known as the Haymarket…. The closure of the Marist Brothers Haymarket school enabled Fr O’Driscoll to approach the Marist Brothers Provincial, Brother Victor Ludeke, with more confidence”. The Brothers school at Kogarah eventually opened on 3 February 1909 with 91 pupils enrolled coming from “near and far”. The story of the Marist Brothers going to places of need continued at Kogarah despite the province wanting to consolidate it’s vast number of schools in this early period of the twentieth century. Alban Doyle highlights a clear personnel problem with decreasing numbers of postulants persevering in their vocation. Again despite small numbers of brothers, three in the first community at Kogarah, under the strong leadership initially of Br Gonzaga, then Athanasius and Pius, the school did well and prospered. The leadership of Br Pius is given special mention in the official Marist history. The issue of declining personnel did see a temporary slow down and consolidation of schools in this period in Sydney province after Kogarah until the demand again came from Mosman to the North and Randwick to the East in 1923. The official Marist annals give only a perfunctory record of the history of the brothers’ move to the Randwick area in 1923. It appears the Archbishop of Sydney, Michael Kelly had the idea of founding a boys’ college at Randwick when he visited the Randwick parish in 1921. Again the local parish priest was significant, in this case Fr Treand M.S.C. who acquired a suitable property central to the church and tram lines and the Provincial of the MSC order made application to the Marist Brothers to staff the school. This acceptance was made in January 1922 according to official records but there appear some months of negotiations that followed. Charles McGee in a history on the occasion of the 75th anniversary year of Marcellin College records some of this drama that nearly did not see the Marist Brothers arrive on the site. Some drama then followed as to which order of Brothers would staff the College. In January 1922, the Marist Brothers indicated that they could open at Randwick in July 1923. But the Christian Brothers, with their College at Waverley and their Sunday School activity in the Randwick parish, had also received an offer and indicated that they were also able to start a school at Randwick. However it appears the Marist Brothers in June made a better offer and the Christian Brothers were informed if they could match it, they would still have the school. Once more the strength of leadership that previous Marist leaders had shown, shone through when Br Clement, Provincial of the Marist Brothers in Australia declared, “we are not prepared to go to an auction to secure any school”. By August the decision had been made by the Brothers to staff the school. The earliest report of the school is found in the Visitation Book, made by the provincial Br. Brendan, for October 1925. It records outstanding work of the founding brothers and the high quality Christian education happening. Br Walstan, the first Principal and obviously a keen race goer at Randwick, spoke of the solid foundations years later in his reflections of his time at Randwick. “I sent Randwick to the front from the lifting of the barrier. I knew I was on a winner. Time has proved this”. Some of this obviously referred to the outstanding response the school received from Catholics in the outlying suburbs judged by the nearly four hundred names on the schools register by the end of the first year. Perhaps some owed to the future priests, Marist Brothers and brilliant scholars they had on their books. Perhaps part of what Br Walstan was also referring to in his famous quote was the exceptional quality and depth of leadership that was to follow him; Br Andrew Power from 1926 and then Br Ignatius from 1931. The standards set by these two outstanding Marist leaders was high and in no small way paved the way and laid the foundations for the schools expansion and continuous growth over the ensuing decades. Marcellin College, Randwick, which continues today as an outstanding Catholic Marist school serving the church in the Eastern Suburbs has had a continuous Marist Brother as it’s principal since foundation. Surely a sign of the importance and significance this proud school holds in the Marist story. The development and spread of the Marist Brothers’ schools in the Sydney Archdiocese in the period 1880-1950 was a direct response to church leaders inviting the Marist Brothers to come to Australia in 1868. State aid had ceased to Catholic schools and the Bishops needed the brothers to keep Catholic schools open. The Bishops saw the possible loss of a religious education for Catholics as a threat to the maintenance of a just and civilised society in the colony. The Marist story in Sydney took shape at St Joseph’s College, Hunters Hill 1881; North Sydney 1888; moved south as transport developed to Kogarah 1909; relocated to Darlinghurst 1910 from the Cathedral site; competed against the Christian Brothers to open a Catholic boys school in Randwick in 1923. Other openings came from invitations to Woollahra in 1928, Eastwood in 1936, Lidcombe. The story was representative of the tensions and achievements that many religious orders endured to survive in their own right until the Wyndham scheme and state aid returned in the 1960s. The Marist story in Sydney schools is a distinctively French-Australian story that began in the foothills of post revolutionary France when a young uneducated boy had a dream to start a teaching order that would, and continues to, influence generations of young people to this day. * Source: Br Brian Etherington, Good Christians and Good Citizens (Sydney: Marist Province, 2010). Ayres, Philip. Prince of the Church Patrick Francis Moran, 1830-1911. Melbourne: Miegunyah Press, 2007. Birchley, Delia. John McEncroe: Colonial Democrat. Melbourne: Collins Dove, 1986. Butler, Tony. A Hermitage in the South: A History of Marist Brothers Mittagong 1906-2006. Drummoyne: Marist Brothers Sydney Province, 2006. Butler, Tony. No Truce with the Rocks: A History of Marist College Kogarah 1909-2009. Sydney: Monteray Print Services, 2009. Doyle, Br Alban. The Story of the Marist Brothers in Australia 1872-1972. Sydney: E.J. Dwyer, 1972. Fogarty, Br. Ronald. Catholic Education in Australia 1806-1950, vol. II, Catholic Education under Religious Orders. Melbourne: Melbourne University Press, 1959. Etherington, Br Brian. Good Christians and Good Citizens. Sydney: Marist Province, 2010. Luttrell, Br John. St Mary’s to St Catherine’s – Catholic Schools of the Archdiocese of Sydney 1836-2000. Sydney: Catholic Education Office, 2000. Marist College North Shore 1888-1988. Sydney: 1988. McDonald, Ian. A School of their Own: The Story of Parramatta Marist 1820-2000. Sydney: Australian Print Group, 2000. McGee, Charles. On a Winner – A History of Marcellin College Randwick 1923-1998. Sydney: Star Printery, 1999. McMurrich, Peter. The Harmonising Influence of Religion: St Patrick’s Church Hill, 1840 to the Present. Sydney: Patrick Books, 2011. Naughtin, Br Michael. A Century of Striving. Sydney: Macarthur Press, 1981. O’Shea, Frank. Keeping Faith – 40 years of Marist College Canberra 1968-2008. Canberra: National Capital Printing, 2008. Valens, Br. The First Fifty years history of Marcellin College 1923-73 in the Marcellin College Annual 1973. Luttrell, John. Catholic Schools in NSW 1820-1950. Sydney: Course notes from RELT 6027 Masters unit University of Newcastle, 2014.
www.stmns.com/aboutus Accessed 21 June 2014. * Many thanks to my copyright editor, unpaid research assistant and beautiful wife Fiona who I met at Marcellin College in 1996 and has forever changed my life in ways too numerous to count, but most blessed gift was a little cherub God gave us in 2006 that we called Samantha!! Thankyou Marcellin! where the school continues to flourish to this day. See Appendix One for comprehensive list of all Marist Schools opened in Sydney archdiocese 1880-1950. Ian McDonald, A School of their Own: The Story of Parramatta Marist 1820-2000 (Sydney: Australian Print Group, 2000), 81. John Luttrell, Catholic Schools in NSW 1820-1950 (Sydney: Course notes from RELT 6027, 2014), 6. Br Alban Doyle fms, The Story of the Marist Brothers in Australia 1872-1972 (Sydney: E.J. Dwyer, 1972), 626-627. Archpriest Sheehy, secretary to Archbishop Polding, in a letter dated to Br. Luis María, Superior of the Little Brothers of Mary in France, February 28, year unknown, but likely to be 1867-68. Dr. Polding invites the Brothers to assist Catholic education in Sydney in light of the Public Schools Act (1866) and the “heretical” threat this posed for the future of Catholic education. Delia Birchley, John McEncroe: Colonial Democrat (Melbourne, Collins Dove, 1986), 117. Birchley, John McEncroe: Colonial Democrat, 122. For an account of the influential role McEncroe had in first building good relationships with the Marist Fathers, and by virtue of this relationship how this in turn influenced the Superior of the Marist Brothers to commit four brothers by 1868 who arrived in Sydney in 1872 see Birchley, John McEncroe: Colonial Democrat, 126-128. Peter McMurrich, The Harmonising Influence of Religion: St Patrick’s Church Hill, 1840 to the Present (Sydney: Patrick Books, 2011), 18-19. Doyle, The Story of the Marist Brothers in Australia 1872-1972, 12. A novitiate is a house of formation for postulants and novices. The novitiate was integral to the success and development of Marist schools in this period 1880-1950 because they provided the educational training and spiritual formation for the numbers of young men training to be Marist Brothers who would supply the schools with teachers. For more on this see Br Tony Butler fms, A Hermitage in the South: A History of Marist Brothers Mittagong 1906-2006 (Drummoyne: Marist Brothers Sydney Province, 2006). Br Michael Naughtin, A Century of Striving (Sydney: Macarthur Press, 1981), 13. Br Brian Etherington, Good Christians and Good Citizens (Sydney: Marist Province, 2010), 12. In a letter written from Villa Maria by a Marist Father, Fr Poupinel SM to Br Louis Marie, Superior General of the Brothers in Rome. See Naughtin, A Century of Striving, 1. Naughtin, A Century of Striving, 3. Quoted from the history archives of St Mary’s Primary School accessed www.stmns.com/aboutus. Same records appear in the history of Marist College North Shore 1888-1988 (Sydney: 1988), 8. Doyle, The Story of the Marist Brothers in Australia 1872-1972, 311. Letter from Br John Dullea, Superior of the Marist Brothers in Australia writing to the Superior General of the Marist Brothers in St Genis, France in 1887 quoted in Doyle, The Story of the Marist Brothers in Australia 1872-1972, 311. Doyle, The Story of the Marist Brothers in Australia 1872-1972, 315. Marist College North Shore 1888-1988 (Sydney: 1988), 15. Etherington, Good Christians and Good Citizens, 14. Br John Luttrell fms, St Mary’s to St Catherine’s – Catholic Schools of the Archdiocese of Sydney 1836-2000 (Sydney: Catholic Education Office, 2000) 1. See more on this in Frank O’Shea book, chapter 3. For a more detailed analysis of this story see Frank O’Shea, Keeping Faith – 40 years of Marist College Canberra 1968-2008 (Canberra: National Capital Printing, 2008) 14-19. Etherington, Good Christians and Good Citizens, 28. Frank O’Shea, Keeping Faith – 40 years of Marist College Canberra 1968-2008 (Canberra: National Capital Printing, 2008) 16. Philip Ayres, Prince of the Church Patrick Francis Moran, 1830-1911 (Melbourne: Miegunyah Press, 2007) 127-129. Taken from the 1885 Plenary Council, decree 240 in Br. Ronald Fogarty fms Catholic Education in Australia 1806-1950, vol. II, Catholic Education under Religious Orders (Melbourne: Melbourne University Press, 1959), 309. Br Tony Butler fms, No Truce with the Rocks: A History of Marist College Kogarah 1909-2009 (Sydney: Monteray Print Services, 2009), 11. Butler, No Truce with the Rocks: A History of Marist College Kogarah 1909-2009, 12. Butler, No Truce with the Rocks: A History of Marist College Kogarah 1909-2009, 14-15. Doyle, The Story of the Marist Brothers in Australia 1872-1972, 478. Doyle, The Story of the Marist Brothers in Australia 1872-1972, 480. Doyle, The Story of the Marist Brothers in Australia 1872-1972, 490. Doyle, The Story of the Marist Brothers in Australia 1872-1972, 491. Charles McGee, On a Winner – A History of Marcellin College Randwick 1923-1998 (Sydney: Star Printery, 1999) 7. McGee, On a Winner – A History of Marcellin College Randwick 1923-1998, 7. Refer to the first Fifty years history of Marcellin College 1923-73 by Br Valens in the Marcellin College Annual 1973. Br Valens, Marcellin College Annual 1973, 21.